Solbiate Olona (VA), 21st June 2016. 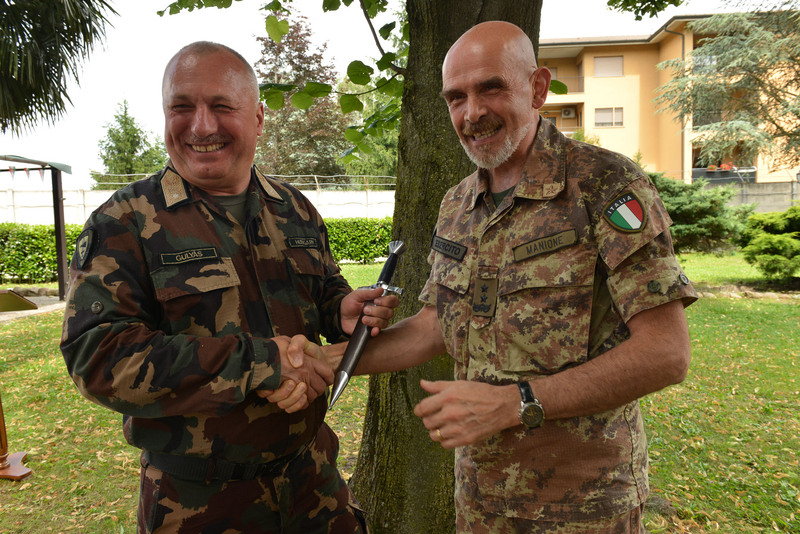 Today at the "Ugo Mara" Barracks, Lieutenant General Riccardo Marchio', NRDC-ITA Commander, said farewell to Brigadier General Zoltan Gulyas. 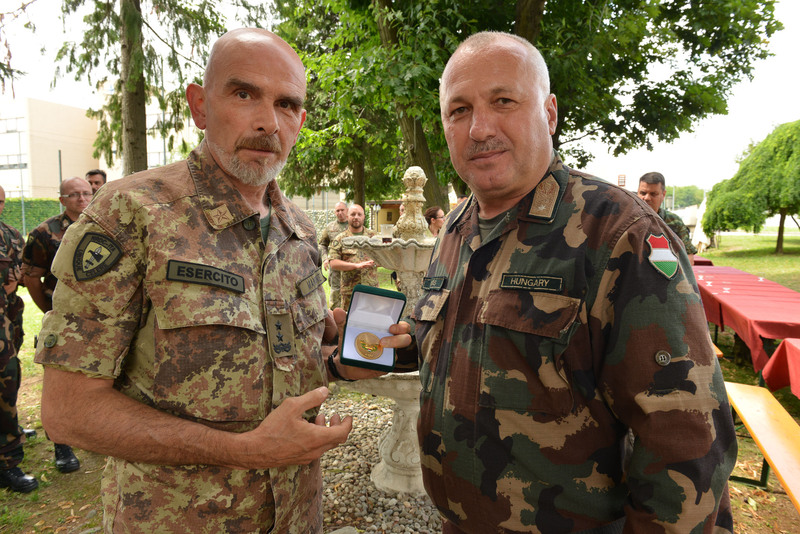 Assigned on July 2012 as Chief of Combat Support Division, Brigadier General Gulyas was later on appointed as Chief of Influence Division when the new structure on three pillars had to be implemented to successfully meet the NATO standards of a Joint Task Force HQs. 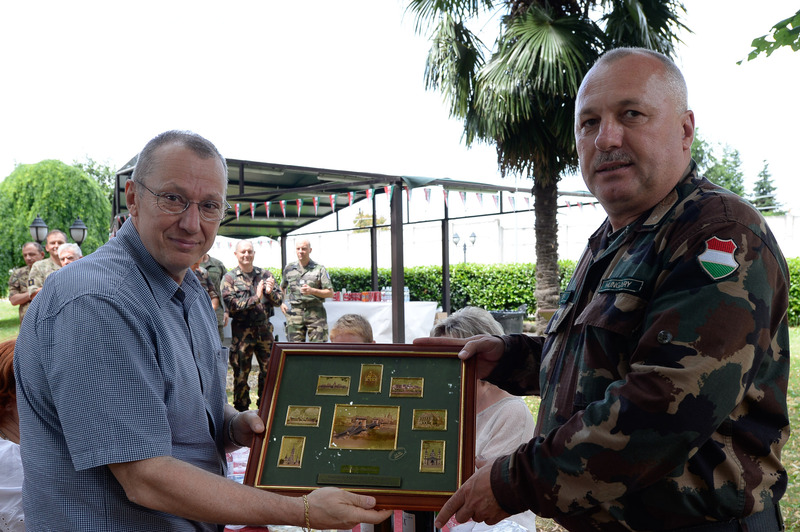 In his farewell speech, Brigadier General Gulyas recalled the steps that brought a radical change in the mind-set of the HQs and wanted to thank the loyal hard working of all the members of the Division under his command. "It has been a pleasure to work with you, Zoltan, during such a demanding period. 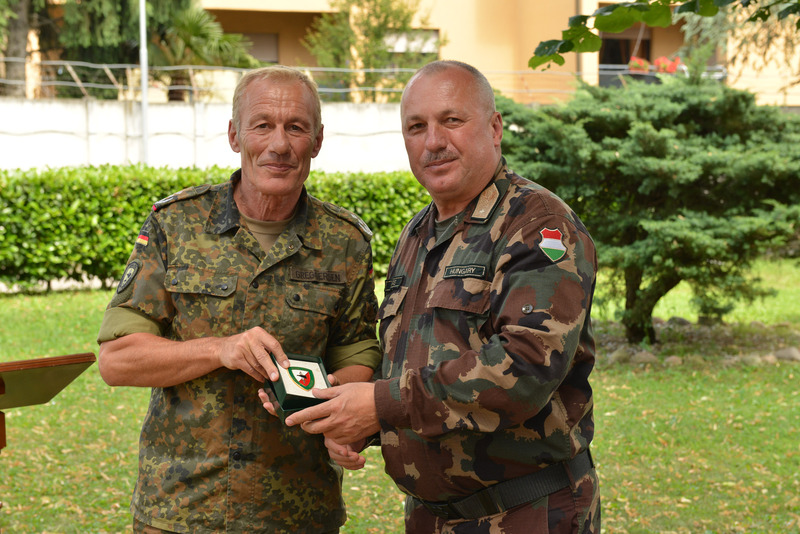 We really appreciated your commitment as a Chief Influence Division and Hungarian flag officer, for all the staff benefit”– Lieutenant General Riccardo Marchiò said, thanking the General and wishing him the best from the new assignment and his future career.